But let’s take a look at these guys, shall we? New shampoo bar (the name is literally ‘New’), Karma soap, Yummy Mummy shower cream and Oral Pleasure toothy tabs. Anyway, aside from the scent, New is made using a bunch of stimulating oils like nettle, clove and the aforementioned cinnamon to help promote new hair growth. I don’t know if it works but I need all the help I can get after a whole bunch of my hair fell out during the ovarian cyst drama of 2016. Some of Lush’s shampoo bars are more hydrating than others. As a fine-haired girl, I find New is the perfect amount of ‘clean’ vs ‘swish’. Still, there’s another reason to want New in your life. It’s now got a, ahem, ‘new’ look (see what I did there?) 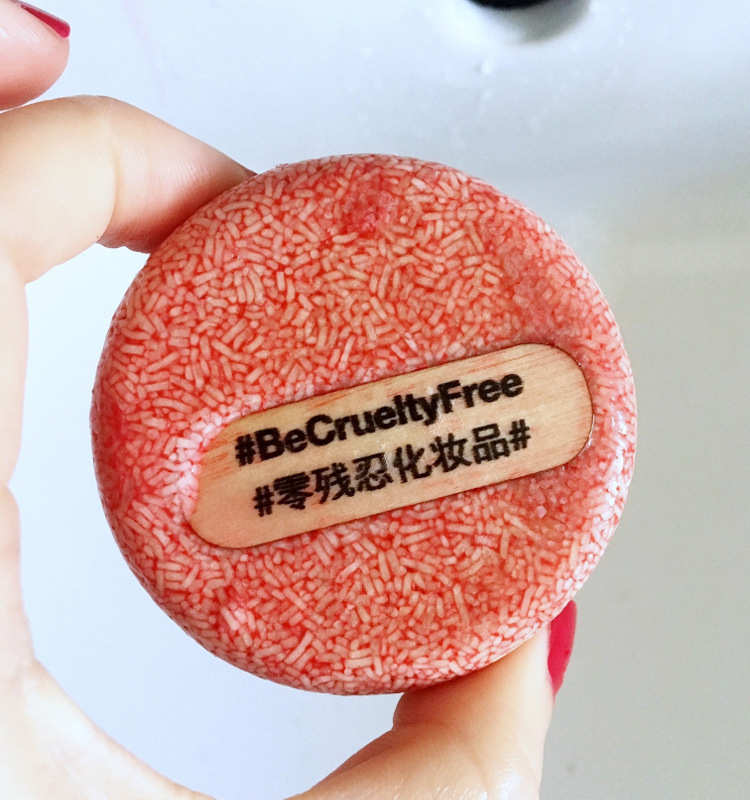 via a little wooden paddle stating #BeCrueltyFree in both English and Chinese to create awareness of Humane Society International’s global campaign to ban cosmetic animal testing. To do your bit to help the cause you can sign the petition over here. To date, more than one million people have signed it (including me – it only takes a second) and every signature counts. As it stands, pressure from HSI has moved 36 countries to ban animal testing with hopefully more to follow suit. You heard ’em – #BeCrueltyFree! But ja, let’s get back to the self-preserving bit, shall we? The fact that these babies can fend off bacteria and remain fresh without the help of synthetic preservatives is a good thing as far as the environment is concerned. 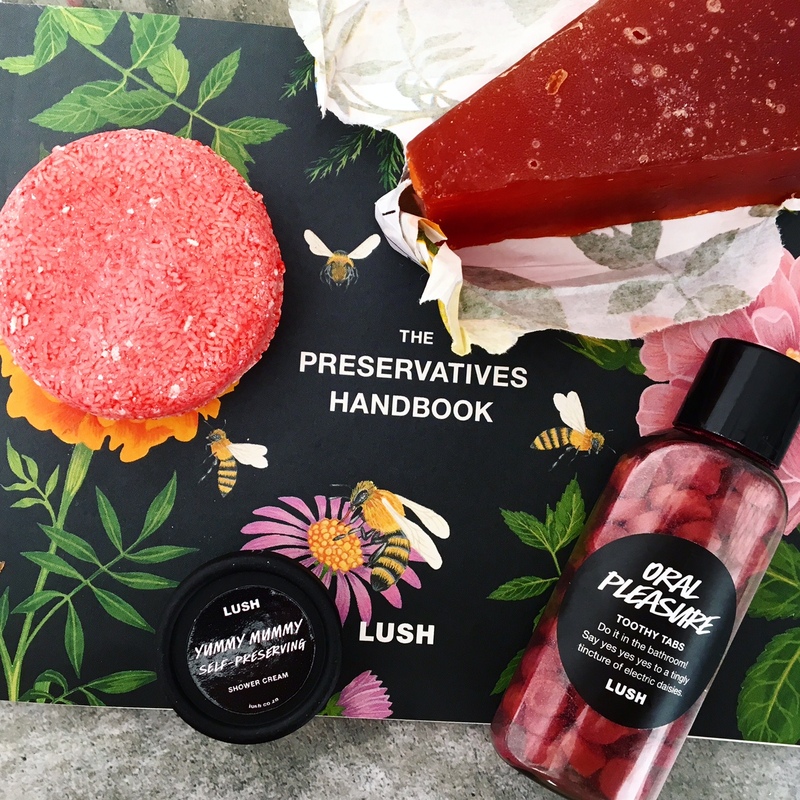 Lush reckons that, while synthetic preservatives are effective, they enter our water system and accumulate, possibly to the point of becoming toxic. This is why they make a point of using self-preserving formulas wherever possible by using natural preservatives like honey and salt and keep their water content as low as possible. While a large chunk of their products are naturally self-preserving, they’re now creating two different versions of certain much-loved products, like their Dream Cream body lotion and Ocean Salt scrub. While they achieve the same goals, the self-preserving formulas are a little darker in colour and thicker in texture. So, next time you’re in store and spot a self-preserving version of an old favourite, give it a bash. You might find it’s slightly different texture is one you prefer. Review: Dermalogica Stress Positive Eye Lift PLUS who wants to win two tubes of this instant pick-me-up for eyes?